Matthew James is a family run business which originated over 30 years ago and specialises in removals from Spain to the UK as well as professional local removals in Mijas Costa and the surrounding areas including Sotogrande, Marbella Removals, Estepona Removals and Benalmadena Removals. 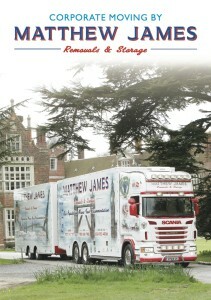 Matthew James started by carrying out small domestic removals in the Kent area, the company quickly expanded due to its growing reputation with its expansion into European removals, removals from the UK to Spain and France. In 1989, early in the company’s history, Matthew James started relocating clients abroad. In 2002 they opened their first Spanish depot on the Costa del Sol, followed by Madrid in 2011 , Barcelona in 2012 and Estepona in 2013 for Removals to Gibraltar. We currently have a weekly service to and from the UK, France and Spain, and can provide dedicated services depending on your exact requirements. We deliver to all European locations regularly. Our drivers have a minimum of five years’ European experience and our Spanish office staff are bilingual. Our long experience, local knowledge and specialist vehicles make us the obvious choice for moving throughout Europe. We are proud members of the Overseas Group of BAR (British Association of Removers) and the RHA International Group. We also offer a very cost-effective, depot-to-depot service from and to London, Barcelona, Madrid & Malaga. Moving home is not only about transport, it’s about people. Of course when you first consider moving your home in the UK, to Europe or to another continent, your first consideration may be cost, but that’s just part of it. When you move home you do more than just move location, you change your life completely. Even if you only move to the next town you have new friends, schools, jobs and opportunities. It’s an important decision and an emotional experience. We make our services and customers our priority. That’s why we are proud to be members of various trade associations and to have gained various awards within the transportation industry. See our glowing references from our past customers. New depots opened in Madrid, Barcelona & Estepona. \"The company had previously moved us from France to the U.K and take items for storage. These items were brought out of storage and we were moved from our address to another on the same day. We were never disappointed. The standard of service provided was completely excellent. \"
\"The packers & movers were all friendly, polite, thoughtful and very efficient. They worked hard and smart and made sure move go as smoothly as could have been. I would have no hesitation in recommending them to friends. Thank you. \"
\"They did anything we requested & were polite & curtains at all times – even when carrying endless boxes of books to my son’s attic bedroom!\"
\" The men were courteous and thoughtful and kept to their promise of completing the job in 2 days – a look was felt might be impossible. Since then they have returned to collect & recycle packaging I would not hesitate to recommend.\"
\" The whole process was made so much easier by the professionalism of every single person we came into contact with at the company. The packing & removal crew were superb-hardworking, pleasant, put 110% into the job. Thank you so very much! \"
\" I have used this family firm twice recently during a difficult period in my life and they made the move completely unstressful.\"